So how can we get the look of real wood blinds and solve the issues we listed above? Easy! Fake Wood… Faux Wood! Faux Wood Blinds are wood look-a-likes built to withstand various environments better than real wood blinds. How are Faux Wood Blinds made? What options are available for Faux Wood Blinds? Faux Wood Blinds are available in more than 20 colors. The variety, however, is not the only stylistic benefit of Faux Wood Blinds. These blinds have three types of colors… solid, embossed and wood-like. 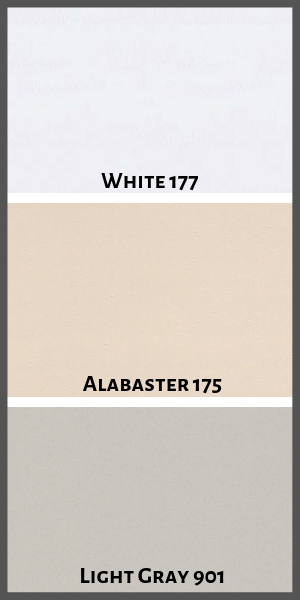 Solid colors like White, Alabaster and Light Gray are just solid colors that give the look of classic blinds, without necessarily being obvious about the wood-like characteristics. 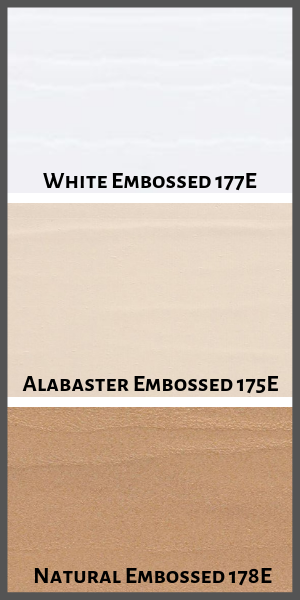 Embossed colors like White Embossed, Alabaster Embossed and Natural Embossed actually have a wood grain texture grooved into each slat, giving them the 3D texture of real wood. 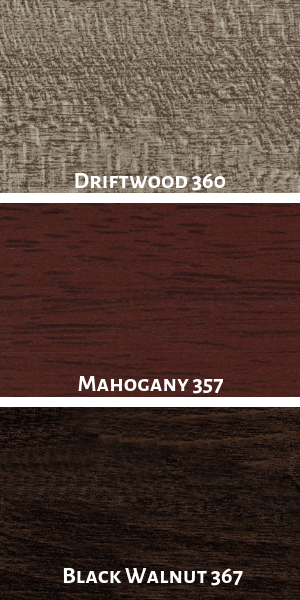 Wood-like colors like Driftwood, Mahogany and Black Walnut have a printed wood texture to give the appearance of real wood. Some of our most popular Faux Wood options are our cordless Faux Wood products. These blinds are lifted by a button on the bottom rail and a simple lifting motion. Cordless Faux Wood Blinds are a great combination of style and safety. They remove dangling cords from your window treatments, harboring a safer environment for kids and pets. If you’re wondering why you would choose faux wood blinds over real wood blinds, then just take a look at the problems at the beginning of this article. Faux Wood Blinds vinyl material allows them to withstand high moisture without the slightest bend. They are great for kitchens and bathrooms and are often a popular option to keep consistency throughout the house if there are wood blinds in other rooms. Not only are Faux Wood Blinds an alternative option for their purpose, but they’re also a budget-friendly alternative. These blinds are a great way to get the classic wood blind look throughout your home while taking it easy on the wallet. Remember those UV inhibitors we talked about earlier? They allow Faux Wood blinds to be resistant to warping and fading with prolonged sun exposure. Wood Blinds are also more likely to be snapped with excessive force. While Faux Wood Blinds can also be damaged, they can withstand slightly more force than real wood blinds. 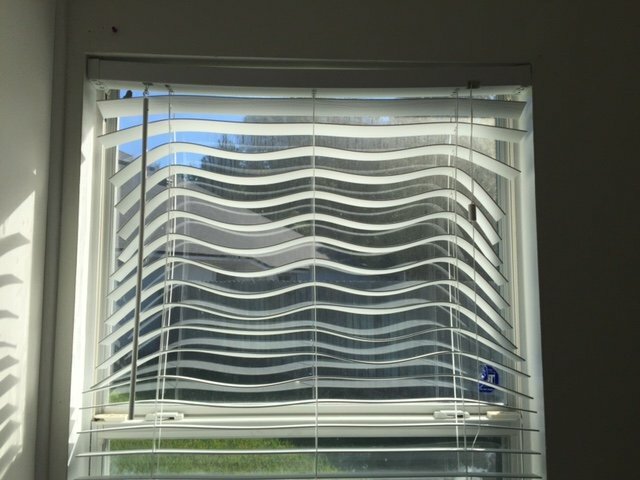 Are you intrigued on this interesting alternative to real wood blinds? Checkout our full selection of Faux Wood Blinds for all budgets, homes and styles.